Local and regional distribution throughout Skåne, Halland & Blekinge, starting from our distribution terminals in the area. Within these regions we can offer efficient and customized transport solutions. We travel this region every day with 50's trucks. Construction and installation distribution belongs to the core business. 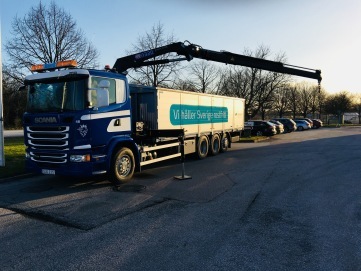 A large number of trucks regularly distribute building materials to construction sites around Skåne. With custom vehicles we can ensure that your deliveries are carried out in the best way possible. Our fleet includes everything from smaller package cars, to 25.25m squads and cranes. In-Night distribution is no stranger to us, much of our business is working all night long. We handle key management, logging and delivery to designated location. Even our traffic management is manned at night to monitor the extensive activity going on when most sleep. Customized solutions have been in place since the start over 40 years ago. In cases where a customer has unique wishes that they can not be managed in a regular portfolio, we offer a customized solution. Today, it includes everything from chartrade cranes-truck to specially equipped tankers that deliver customized logistics solutions to our customers on a daily basis. Scandinavia and thus traffic to Denmark and Norway are done daily. Even though a large part of our traffic to the neighboring countries goes into dedicated traffic, we always have the opportunity to do more, pallet or LTL does not matter, we solve most requests. Crossdocking is a necessary function to feed our distributions. The largest facility is directly connected to our headquarters and Kombiterminal in Malmö. The facility has a large capacity with its 46 docks and over 6000m2 of terminal space. In addition to our traditional domestic distribution, we are specialized in managing import and export volumes on behalf of customers. We receive their trailers, unload, apply label, and scan for further processing on our distribution network. 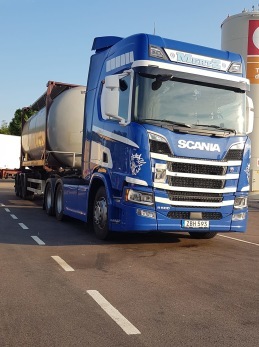 Similarly, our network is used to retrieve export shipments across the country which later is collected, consolidate and loaded on our customers' trailers. All with total transparency and traceability for our customers. Malmö Kombiterminal has been run by us since 2013. The terminal is directly adjacent to Malmö godsbangård and is the obvious choice for handling intermodal trains to and from Malmö. 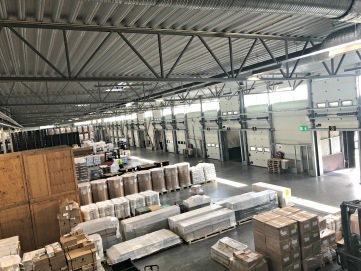 Demand and volumes have increased rapidly, and therefore a conversion and rebuilding of the terminal was made to a cranetenminal which was completed in May 2018. The terminal is not only one of the most modern but also the largest in volume calculated in Sweden. From the terminal arrives and departs our customers' trains daily, not only within Sweden, but much of the volume also passes across the Öresund bridge to other parts of Europe. Railservice is our waggonload-terminal in Malmö. Customer requested a service outside of our portfolio and we responded with a solution, completely in accordance with our business model. The product has been developing successfully and today we deliver the service to a number of customers. The terminal currently handles more than 120,000,000kg of goods per year. Railway company could be titled in January 2017 after extensive work on license applications. Today we hold A & B certificate of security which enables us to deliver a full range of rail services. This in accordance with our line of internal delivery of one stop shop services throughout our railwayportfolio. Our locomotives and locodrivers not only deliver all the shuntings to our own rail terminals but also shunting services to external customers. Nothing is strange to us, if you have a request we have a solution.